Essential accessory of all my winters is the woolen hat, also called beanie or knit hat. I love it because it keeps head and ears warm and you can find it in many shapes, colors and trendy models to have fun with! The one I'm wearing has just become part of my wardrobe and I bought it from ASOS! 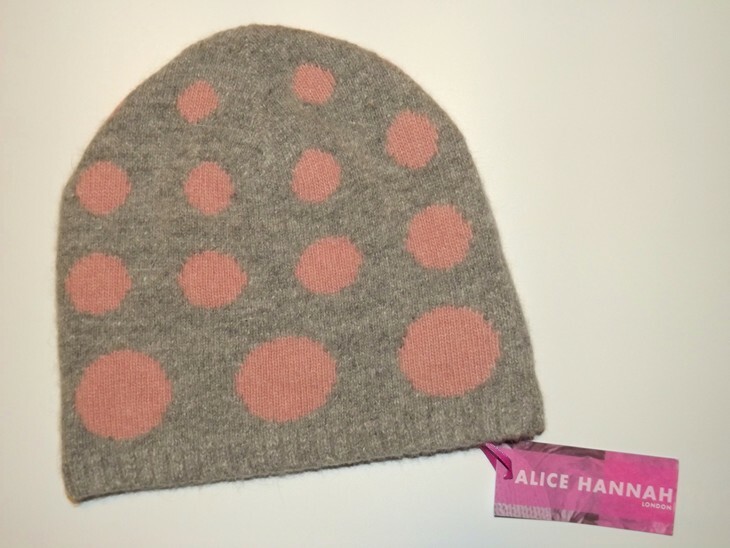 It's grey with big pink polka dots and it is made of angora and lambs wool; the brand is Alice Hannah, a London based knitwear. Accessorio protagonista di ogni mio inverno è l'immancabile cappello di lana, chiamato anche "beanie" o "knit hat". Mi piace moltissimo perchè tiene al caldo testa e orecchie e ci sono tantissime forme colori e modelli di tendenza con cui sbizzarrirsi! Questo che vedete è da poco entrato a far parte del mio armadio e l'ho acquistato dallo shop online ASOS:e' grigio con dei mega polka dots rosa ed è composto da angora e lana di agnello. Il brand è Alice Hannah, shop londinese specializzato nella vendita di prodotti in maglia. A me fa impazzire e a voi?? è stupendo!!!! e ti sta benissimo!! That is so cute and it looks great on you! Nn l'avevo mai visto uno cosi.carinissimo e ti sta benissimo. Hi sweety, you look so cute, love the shade of pink on your sweater. Abbinato a quella maglia e' perfetto!!! The beanie look soooo cute on you! cuteeeee beanie! and you look adorable with it! 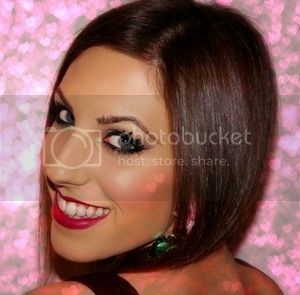 Really cute and I like your make up. Have a nice day. You look great, love your blog! :))) I follow you now! Nice post, this beanie is so beautiful, love it! Hat is so sweet and that look with it is lovely! Es muy chulo y te queda genial. E ti sta anche molto bene! nice hat and u are beautiful! Che carinoooo...non se ne vedono molti a pois in giro!!! Bellissimo il cappello e ti sta benissimo. Io lo uso sempre, in inverno non riesco a stare senza! Ciao Francesca, grazie per essere passata sul mio blog! Ti seguo anche io su gfc, bloglovin e facebook! bellissimo cappello e tu sei carinissima!! 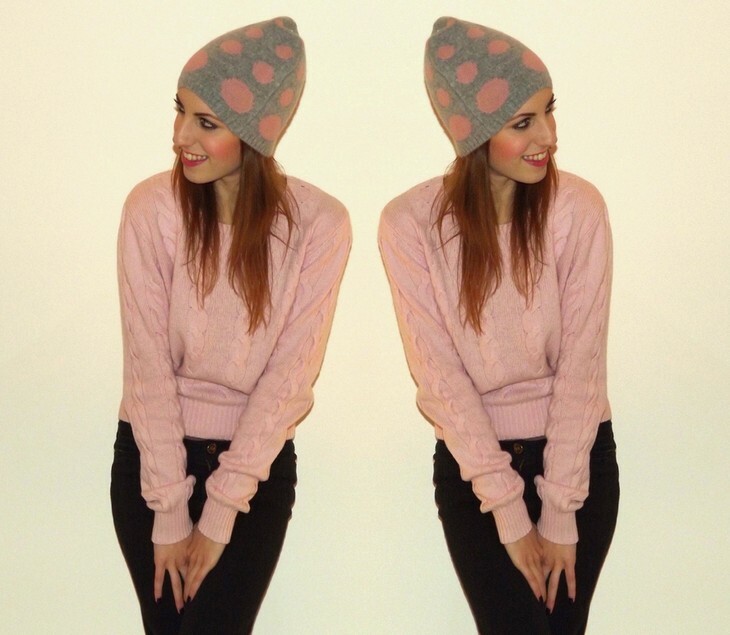 Cute beanie, loved its dots!! Loved to know your blog too, it's really great, I'm your new follower! Cappello carinissimo ;D Reb, xoxo. Of course i would like follow each other, dear! I'm a your newer follower on GFC and facebook! Love your woolen hat and your sweater! You look great! Sei carinissima! Bello il maglione ed il cappello!